A helmet used in road bike racing is not just optically different from its off-road peer. Racing bike helmets are usually more airy (better ventilation), lighter and more streamlined. The last two arguments are especially significant when it comes to bike racing. The weight of the helmet also has a substantial influence on the costs. As a rule, the more lightweight the helmet is, the higher the price tag. After all, it needs to have the same protective effect. Continuous development, special material mixes or the use of carbon will correspondingly increase the price. For road bikes that are particularly streamlined, you can get special aerodynamic racing helmets. The aerodynamic helmets are also used in triathlon. Due to their pointed shape, they stick out at the back of the head. Thanks to ingenious technology, this shape ensures low air resistance and an optimal windrun. These high-speed helmets are being utilised on the racing track when mere seconds are decisive for winning the race. But the helmet manufacturers also offer the ambitious road bikers ultra light designs without the aerodynamic shape, such as carbon helmets. Lightweight race helmets usually weigh less than 200g. Deciding on the shape of your new helmet is one thing; but the fit, wear comfort and optimum ventilation are extremely important as well! You should be comfortable when you wear the helmet, and it needs to fit perfectly and adapt to your head shape. 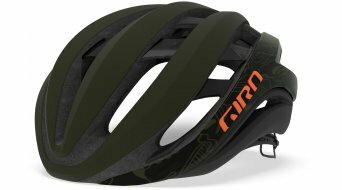 Of course you'll also find the right race helmets for women in our selection, and their fit, size and design are tailored to meet the needs of the female cyclists.